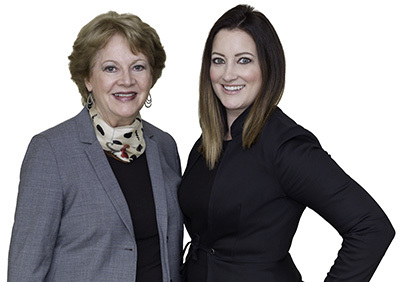 Welcome to SuiteProperties and the award-winning team of Ann-Marie & Virginia Spicer. With a combined 40 years of experience, we can expertly guide you through the real estate sales process when you are buying or selling property in beautiful Vancouver, British Columbia. From first-time homebuyers to seasoned investors, you can rest assured that we have the knowledge and skill to fulfill all of your real estate needs. Known for our honest and thorough service, we have consistently grown our business based on referrals from our satisfied clients. Please take a look through our website and let us know how we can be of service to you. What is your home worth in today's market? Contact us for a free home evaluation and find out. Calculate your monthly payment with our Mortgage Calculator. Check here for the latest updates and current market statistics. We owe a huge "thank you" to Virginia and Ann-Marie for the excellent service they provided to us as our real estate agents. They listened carefully to what we wanted and then worked patiently over many months to find the house that fit our needs and preferences. Ann-Marie and Virginia Spicer made the process of selling our home of nine years as easy and stress-free as possible at a time in our lives when doing so could be so difficult. Not only were they warm, kind and empathetic, they were also professional, diligent and hard-working. I enlisted Ann-Marie and Virginia to help sell my mother’s home at a very difficult time for our family. I was living abroad in the UK with a young baby and my mother was, unfortunately, moving into assisted living and was not able to assist very much with the sale. We approached Ann-Marie and Virginia as first time home buyers. We were very nervous about the current real-estate climate and finding something that would be appropriate for our growing family. Ann-Marie and Virginia listened to all of our concerns and worked diligently to not only find us a home that suited our needs perfectly, but they got us a great price too. We are so thankful to have worked with them as they made this daunting and tedious task really straightforward and fun! We have bought two houses and sold one with Ann-Marie and Virginia. They are super agents! They are very professional. latest on anything real estate! Copyright © 2019. Ann-Marie & Virginia Spicer. All rights reserved.